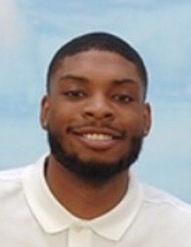 Obituary for Jermaine T. Marshall | Hooper Memorial Home Inc.
Jermaine Terrell Marshall was born on Wednesday, November 7, 1990 in Camp Hill, PA to the proud parents of Jerome and Jacqueline Marshall. Jermaine was an exceptional young man. A loving and dedicated son, a loyal and reliable brother, a faithful father to his son, Jacai Terrell Marshall, age 6. Jermaine’s formative years were spent at his home on White Dogwood Dr. in Etters, PA with his family. Jermaine never missed a favorite meal prepared by his loving mother, Jackie or a meaningful sports conversation with his father, Jerome. Jermaine loved his family. It was there that he, along with brothers Tahaeem and Curtis and several close cousins developed a love and passion for basketball. In fact, they challenged him, as the younger one, to the point he became an exceptional player. Whether playing for the Camp Curtin YMCA Tigers to win the Mid Atlantic Championship or playing alongside Curtis at Redland High School, Jermaine proved he was up for the challenge. By the time he graduated from Redland High School, he was the all-time leading scorer with 1,425 points and was team captain. Upon entering college he was known as “Big Smooth,” because of a signature spin move he had developed over time. As a sophomore at Penn State University, he led the Lions with 43 three-pointers, as a junior he earned All-Big Ten honorable mentions honors and had his career first double-double, scoring a career high 29 points and 10 rebounds. Jermaine transferred to Arizona State University in his senior year. His clutch performances led the Sun Devils to an NCAA tournament berth in 2014, averaging 15.1 points per game. One of his finest performances that season came against ASU rivals Arizona, who was ranked No. 2 when Jermaine scored eight of his 29 points in the second overtime to lead his team to a 69-66 win. 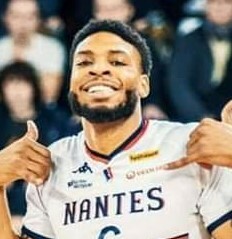 Jermaine went on to fulfill a life-long dream of playing professionally with the Houston Rockets during the 2014-15 season and later moved to Europe to play with the Hermine Nantes Basket in France. Jermaine was loved by teammates and fans all over the world. Jermaine was a man of integrity. He was loved by all, he never met a stranger. He was kind, caring and he had a gentle spirit. His parents instilled in him the importance of being a person of character, having unwavering morals and possessing a strong work ethic. They demanded that Jermaine reach his full academic and interpersonal potential. His hard work and determination earned him a Bachelor’s degree in Human Development from Penn State University and a Master’s degree in Liberal Arts from Arizona State University. While Jermaine accomplished many things in his life, including playing professional basketball, traveling across the globe, where he met and made friends with people of different backgrounds, the most important experience came when his parents introduced him to the love of Jesus. As part of an enduring family in the Emanuel Church of God in Christ, Jermaine learned the importance of fellowship and church service. His involvement included the Church’s drill team, the Junior Usher Board, the children’s church, the children’s choir, the Youth Mass Choir and Sunday school; Jermaine was a fixture in the Church at an early age. He loved to interact with other children. His maternal grandmother, Mother Almeda Martin, was a foundational role model and the late Mother Gilford would playfully refer to Jermaine, when he was just a baby, as “King Jermaine” because of his grand presence. Jermaine is preceded in death by his brother Jerome “Curtis” Marshall, grandparents; Elder Jewell and Sara Marshall, Virgil Davenport, Almeda Martin, great-grandmother Grace Wise Davenport, uncles; Jewell C. Marshall Jr., Nathan Coleman, Daniel Havier, Ricardo Martin, Kenneth Wallace, Freddie Davenport, Napoleon Davenport, aunts; Doris Manning, Sandra Martin Cooper and Elizabeth Davenport House. Jermaine leaves to celebrate and cherish his life with precious and loving memories his parents Jerome and Jacqueline Marshall of Harrisburg, PA; son Jacai Terrell Marshall of Huntsville, AL; brother Tahaeem Martin (fiancé Sheri) of Harrisburg, PA; uncles: Samuel Davenport, Joseph Procter of Harrisburg, PA, Elder Truman Marshall of Malvern, AK, Robert Cook of New Jersey, aunts Christina Collins, Ollivie Marshall, Cynthia Marshall of Harrisburg, PA, Heidi Cook of New Jersey, Charlene Martin of Philadelphia, PA, great aunts: Willie Booth Marshall of Malvern, AK, Geneva Proctor, Ethel Elene Banks Davenport, Brenda Davenport of Harrisburg, PA, God-mother Kim Snell of Harrisburg, PA, God-sister Kennedy Weedon of Camp Hill, PA, God-brother Troy Wilkerson of Etters, PA, close cousins: Josiah Baltimore (who was like a brother) of Harrisburg, PA, Shelia Kearney (who was like a mother) of Harrisburg, PA, Lee and Mark Strawbridge and Nicholas Martin; close friends: Zack Doherty of Etters, PA, Lacey McDonough of New Cumberland, PA, mother of Jacai, Ashley Laurent, friend Anyea Nicks of Charlotte, NC, several young adults he mentored who loved him dearly; Kanye Nicks, Slanna Nicks, Taisha Taylor of Charlotte, NC and many extended family and friends. The Marshall family extends its deep and abiding appreciation to the Hermine Nantes Basket Team, its fans, the Emanuel Church of God in Christ church family, the U.S. Embassy, the Hooper Memorial Home and loving friends for their flowers, cards and prayers over the past few weeks.